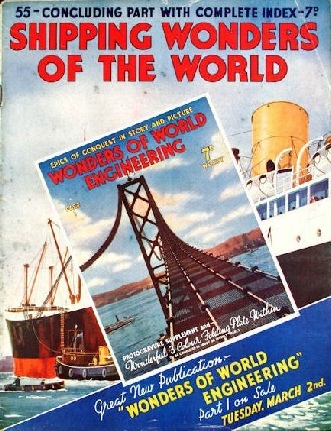 Part 55 of Shipping Wonders of the World was published on Tuesday 23rd February 1937. It was the final issue of the series and was the only one not to have either a colour plate or photogravure supplement. The majority of this issue was devoted to the index for the entire series. 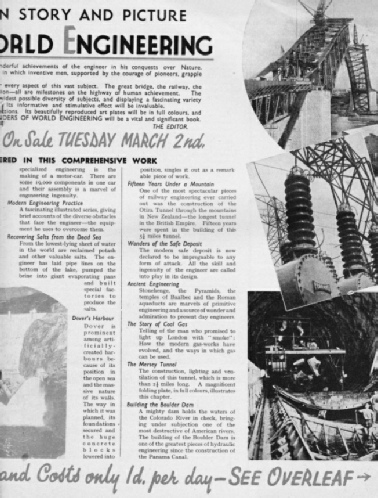 The final cover design was a composite design based on the cover of part 45 along with the cover of part 1 of the new part work Wonders of World Engineering superimposed. Cruising in the Caribbean, concluded from part 54. This chapter is by Sidney Howard. A selection of the more frequently used nautical expressions, terms and phrases, with their various meanings. A listing of 25 corrections across both volumes of Shipping Wonders of the World. 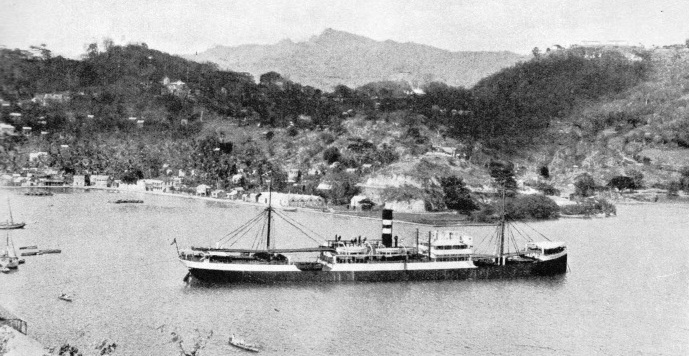 The index is planned to cover the whole work as comprehensively as possible, and thus to cater for the needs both of the average reader who wishes to refresh his memory on some point and also of those who are using Shipping Wonders of the World for reference purposes. 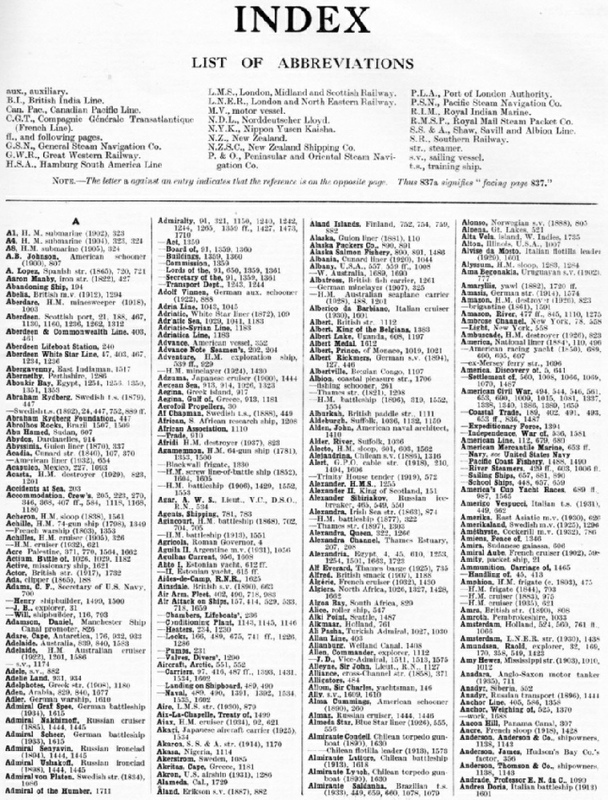 The index begins with a list of abbreviations, followed by the A-Z section which fills the rest of this issue. Only the first page of the index is reproduced below since the search option (at the top of each webpage) and contents page enables items of interest to be located more easily. A table showing the largest merchant vessels of the world in January 1937, arranged in order of size and giving details of dimensions and speeds. In the table, which is reproduced below, the dimensions of length, beam and depth are given in feet. In every instance the length given is the length between perpendiculars. 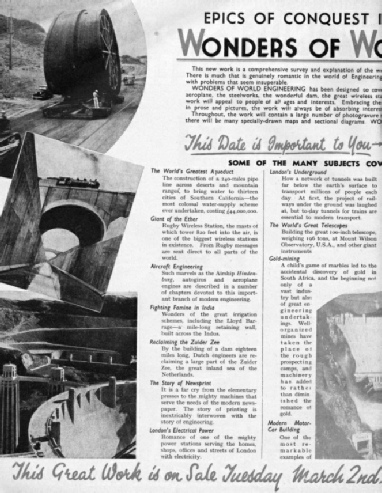 The index included a four-page insert advertising the new part work published by the Amalgamated Press from Tuesday 2nd March 1937. 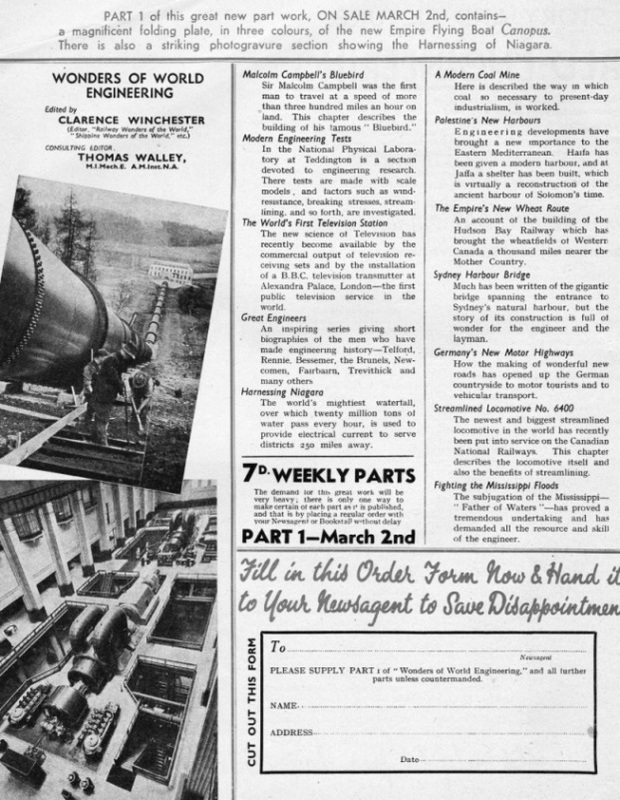 Three pages from this insert are reproduced below. Interested readers wanting to learn more about this series should visit the Wonders of World Engineering website to find out more.